Seeking inspiration from the exotic Middle East, Diptyque’s Rose Delight range is as sensual and invigorating to the senses as you’d expect. Transporting you straight to colourful bazaar’s or the sea-worn coast of Turkey, this candle emits notes of fresh rose, a dash of honey, lemon zest and delicate icing sugar. 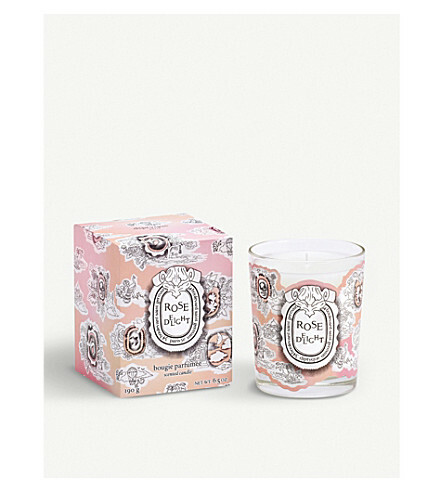 To celebrate such a wistful scent, an elegant blush pink design cloaks the votive.